Sometimes the smallest things make all the difference. Fine detail, high gloss finish, exquisite care – when found in your work, these are all evidence that what you do isn’t just a job or way to spend time. It’s an art form. And everyday art – the kind we bake in to our digital products and that our customers experience daily – is sometimes better than that more rarefied kind you find under glass in expensive museums. Call it the art of everyday design: infusing our functional products beloved by the customer with a touch of the artist. 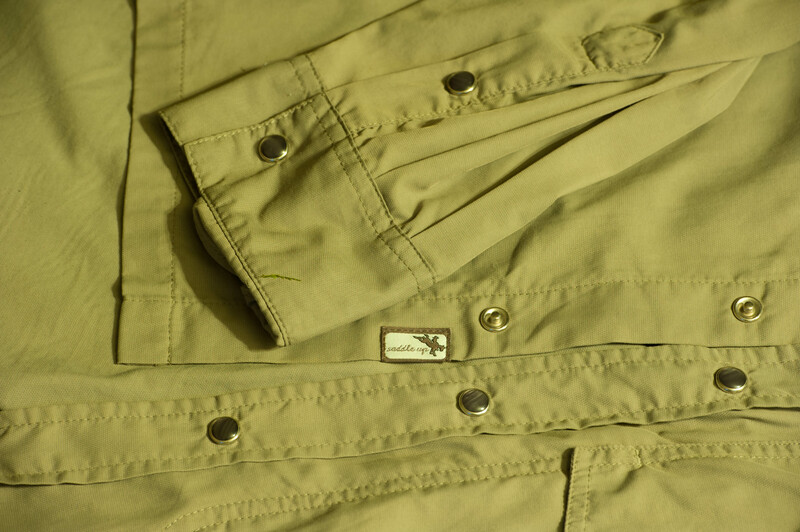 Once upon a time in the west, a legendary outdoor clothing brand roamed the range. Based in Jackson Hole, Wyoming, Cloudveil appeared in the late 1990’s to pioneer, among other essential alpine pieces, the soft shell jacket, which is now standard fare in any manufacturer’s line. While Cloudveil’s spurs have since been hung up, its wildly innovative and stylish spirit lives on in founder Steve Sullivan’s latest brand creation, Stio. Check it out. You tell the world how special your brand is by paying attention to the smallest possible details. Cloudveil had great clothing – everyone knew that. But what they also had was an eye for that unforgettable design touch, that tiny additional detail that elevated their brand experience beyond the ordinary. Case in point: a little Wyoming man on a horse. The fire-breathing bucking bronco and man trying to hang on – hat in hand – is an iconic and instantly recognizable western image. 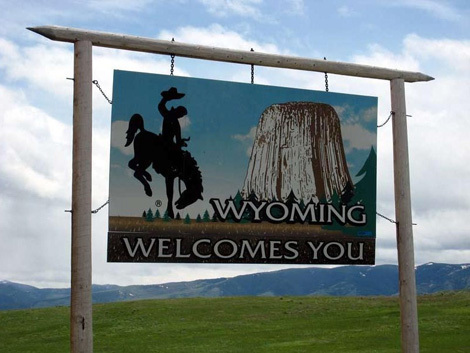 It’s Wyoming’s symbol and a classic piece of old school Americana. So being a Wyoming brand in the business of outfitting modern day cowboys (and girls) who are taking the reins of their own wild outdoor adventures – what did Cloudveil do? They added this classic symbol into their work, like a tiny brush stroke signature in the corner of the frame. A beloved western image – the man on the horse. Along the vertical hem on one batch of Cloudveil shirts, like a hidden Christmas present waiting to be found, a teeny tiny patch was sewn in. When the shirt was buttoned up, it was hidden underneath. If you weren’t paying attention, you might have missed it. But when you found it, you had the kind of authentic branding moment that most companies can only dream about. On that patch, our little man on a horse rides off into the west (if he can hold on). 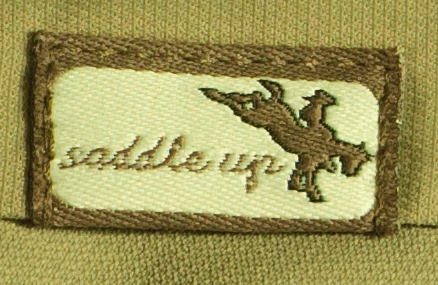 And as if we needed anything more to get the brilliance of this hidden gem, two words help bring the point home: “saddle up”. Every time we put on the shirt, like a carpe diem reminder, we read those words and see that little man. We have the brand experience every time we saddle up. Brilliant. If Edward Tufte, champion of the fine visual design touch, doesn’t have one of these Cloudveil shirts, he should. Because with one symbol and two words, Cloudveil conveys in living color an entire world of experience in that little patch. The essence of the entire Cloudveil brand is contained in those two words. What brilliant, plucky style! This is the kind of design touch that you tell people about. You show them. You gather in a circle, show it to people, and laugh at the sheer audaciousness and perfection of it all. When you see that little man, you know you got the real McCoy. Not just a product – an experience. Toro, Toro! We got a live one here, fellas. While this example is drawn from the physical product world, the design mindset it derives from can be applied to any realm. And so the question is, what will be your brand’s digital equivalent of Cloudveil’s little man on a horse? How will you show your customer that your brand offers not just a run of the mill experience – but something extraordinary? How will you carefully engrave in the smallest details the essence of what you do and who you are? What will be the everyday art you discover and incorporate in your products that is so perfect, it might even inspire a customer one day to write a blog post about it? There’s work to do. And there’s gold in them thar hills.